Bushey, T.B. & Johnson, D. (2009). Integrating the academic electronic health record (AEHR) into nursing curriculum: Preparing student nurses for practice. CIN: Computers, Informatics, Nursing. Jatoi, A., Rowland, K., Loprinzi, C., Sloan, J., Dahkil, S., MacDonald, N., Gagnon, B., Novotny, P., Mailliard, J., Bushey, T., Nair, S., & Christensen, B. (2004). An eicosapentaenoic acid supplement versus megestrol acetate versus both for patients with cancer-associated wasting: A North Central Cancer Treatment Group and National Cancer Institute of Canada collaborative effort. Journal of Clinical Oncology, Vol 22, No 12, 2469-2476. My area of specialty lies in the practice of nursing in rural areas. I have worked in arctic Alaska, critical access hospitals, and home health/hospice in remote areas. As healthcare delivery changes, and the role of nursing shifts away from acute care and into chronic disease management and health promotion, rural nurses will be invaluable links to provide quality care. My teaching experiences begin in rural Alaska with some of the first distance delivery methods in place. It was quite interesting to teach American Heart Association CPR to Inupiat Eskimo first responders who truly understood how far away you might be from an acute care hospital setting. Currently I teach Professional Nursing courses for the undergraduate nursing program helping students see the complex relationships between healthcare policy, cost of care delivery, and the unique role of each staff nurse as a leader. All nurses are leaders. My most recent passion has been to develop Interprofessional healthcare teaching teams to allow students to leave their silo style education and develop collaborative care plans. As a leader within the Traditional Track in the Undergraduate Nursing Program I seek to inspire our faculty team to find the best way to educate the nurses of the future, teaching students to blend skills in technology with compassionate, holistic, quality care. We seek to create nurses who are strong patient advocates, nurses who use the Benedictine values as part of their anchor for moral decision making, and finally nurses who are able to seek answers rooted in Evidence Based Practice. As healthcare becomes increasingly complex, the nurses of the future are called to imagine new delivery care models. Imagination and problem solving can be stimulated by accessing a liberal arts foundation. My outside interests include experimentation in a broad range of textile arts, extensive travel abroad, and the production and cooking of local foods. 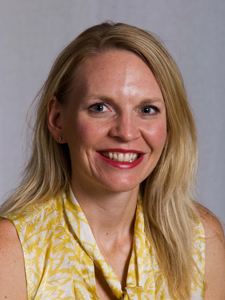 Emily Davis, MS, APRN, CNM is an Assistant Professor in the traditional undergraduate nursing department. She joined the faculty team in 2018. She holds an M.S. in nurse-midwifery from Bethel University, B.S. in nursing from The College of St. Scholastica, and a B.A.S. in psychology from the University of Minnesota, Duluth. Her interests in nursing are focused in maternal-child health with experience delivering care in both the hospital and birth center settings, as well as within the community as a public health nurse. Working as a prenatal educator is what initially sparked her interest to pursue nursing education and she is excited to be at the college focusing primarily in maternal-child health related content areas. 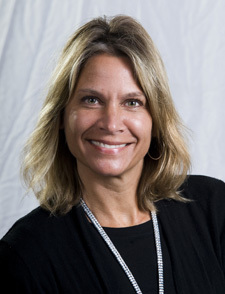 Dr. Diaz is an Associate Professor in the School of Nursing, College of St. Scholastica Duluth campus. She teaches full time in the Traditional Undergraduate Nursing Program, teaching core courses, clinical, and skills lab and simulation. Dr. Diaz came to St. Scholastica in 2004 as an adjunct clinical faculty and joined as a full-time faculty in 2007. 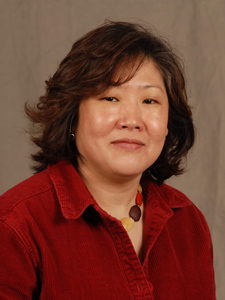 Her clinical background includes critical care nursing and geriatric nursing. She integrated geriatric content into the Traditional Undergraduate Nursing Program at The College of St. Scholastica for her doctoral project. She developed an international capstone (Philippines Capstone) experience for senior level nursing students. 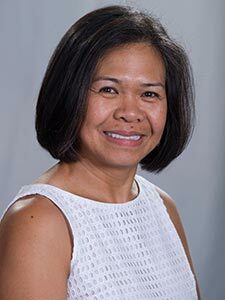 Dr. Diaz is a recipient of the Max H. Lavine Award for Teaching Excellence 2017 from The College of St. Scholastica. Her teaching philosophy is to create and provide a welcoming and positive learning environment that enhances knowledge, skills, and attitude; allows and encourages students to engage in civil and respectful discourse; and offers a sense of belonging regardless of cultural background and intellectual abilities. Diaz, G. B., Byrne, P., Imperial, E. (2017). Prelicensure international immersion illuminates shared professional values and discovery of nursing voice in cultural humility. Poster Presentation at the 28th International Nursing Research Congress, Sigma Theta Tau International Honor Society of Nursing, Dublin, Ireland. Upon graduating from St. Scholastica with a baccalaureate degree I found myself launched into a variety of wonderful practice experiences. My early nursing career was focused primarily in the care of the obstetrical and newborn client, as well as with the acutely ill hospitalized adult client, particularly those with cancer. But the pull back to St. Scholastica and to education in particular became very strong in time, and I decided to pursue a graduate degree as a Clinical Nurse Specialist in Adult Nursing. This preparation afforded me the incredible opportunity to begin a career that focused on the education of nursing students. As a faculty-member in the Traditional Undergraduate Program, School of Nursing, I am privileged to work with students in a variety of venues; classroom, skills lab, simulation lab and the clinical environment. My philosophy of teaching is to serve as an “experience facilitator” for the students I work with. Learning experiences occur in the most unexpected and unpredictable ways if one is receptive and curious. I have quickly come to realize that health care changes much too fast to prepare students for all that they are likely to encounter. If, however, I can teach students to be an effective lifelong learner, I have succeeded in teaching. Education: Viterbo University - Bachelor of Science Degree in Nursing, 2011 Viterbo University - Master of Science in Nursing Education, 2014 Biography: Ms Ebel is an outgoing nursing professional with a diverse background encompassing education and practice areas that include acute care, emergency medicine and surgery. An avid proponent of lifelong learning is evidenced by a commitment to continuing education and professional development. When I started college, I was a business major. During my sophomore year, I switched to nursing and it was the best decision that I have ever made! As a graduate of the CSS nursing program, I can appreciate the history and reputation of the College. Nursing has proven to be a fulfilling career that has taken me in many professional directions. As a staff nurse on a post-coronary care unit for 10 years, I had the opportunity to care for patients, be a mentor/ preceptor and charge nurse. I went back to school and received my Master’s degree and worked as an acute care nurse practitioner in cardiology and primary care. Now, I have the opportunity to share my knowledge and experience with students to help educate a workforce of future professional nurses. My philosophy of teaching is that, as nurses, we get to care for individuals, with our hands and our hearts, at the most vulnerable times in their lives. It is a responsibility and privilege that should not be taken lightly. In order for students to feel confident and competent in caring for patients, we need to prepare them for real-life clinical situations. My primary responsibility is to coordinate and teach in the skills and simulation labs for the School of Nursing. Students participate in classes that allow them to practice not only the hands-on skills that they will use in the hospital setting but also to practice professional behaviors and therapeutic communication. We are able to combine technology, through use of high fidelity, interactive manikins, with the fundamentals of holistic, baccalaureate nursing practice as well as the Benedictine values to engage students in realistic, simulated patient-care experiences. Students progress through increasingly complex skills from sophomore year when they learn basic health assessment until the senior year when they learn to respond to life-threatening situations. Helping students to integrate nursing theory, critical thinking and technical skills has been my most rewarding career yet. 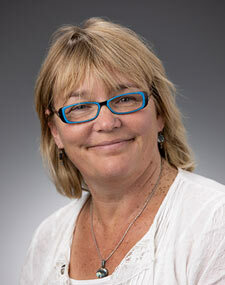 Amos Restad is an instructor in the traditional undergraduate nursing department. His primary content area is medical-surgical nursing theory, lab, and clinical. Prior to joining the faculty team in 2015, he worked as a registered nurse at Essentia Health in the adult critical care units. He maintains a position there on a casual status. He received his B.S. in nursing and his B.A. in biology from The College of St. Scholastica in 2010. In 2013 he attained his critical care certification through the American Association of Critical Care Nurses. He is currently enrolled in the doctorate of nursing practice program at The College of St. Scholastica and is pursuing his family nurse practitioner credentials. Amos has worked with the faculty team to develop a concept-based nursing curriculum. 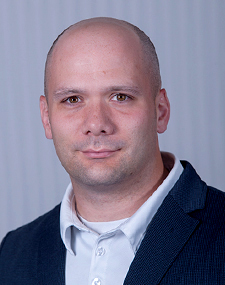 He is a member of the International Nursing Association for Clinical and Simulation Learning (INACSL), and he has developed new simulations based on INACSL guidelines. Additional service activities include developing a guide for faculty recruiting incoming students and educating faculty and staff within the school of nursing on use of new technology that may enhance learning opportunities. 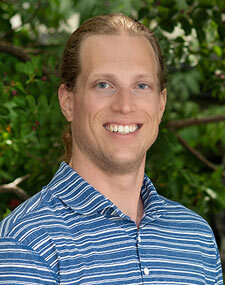 In his spare time he enjoys spending time at the gym, gardening, kayaking, and motorcycling with his family. Recipients of Care across the Lifespan II and III - theory and clinicals; Health Continuum II and III - clinicals; Health Continuum V - lab and Alaska Capstone. Pediatrics, Community Health Nursing including School Based Nursing, Food Allergy Awareness, and Evidenced Based Practice. 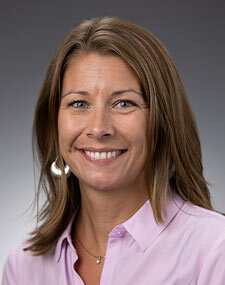 Biography: Andrea Simek MSN, RN, FNP-C is an Assistant Professor in the Traditional Undergraduate Nursing Program. Interests include women's health, obstetric nursing, community nursing, including rural and underserved population health. 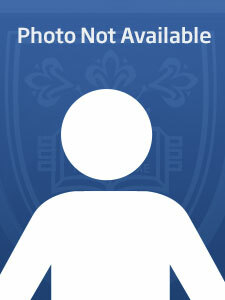 Andrea Simek is currently enrolled as a DNP student at The College of St Scholastica. Andrea's research in the DNP program has combined her interest in rural health and faith based nursing. Andrea is currently studying the potential effects of a rural faith based health promotion program on cardiovascular risk. Anticipated graduation of DNP program spring semester 2017. Education: Winona State University: Bachelor of Science in Nursing, 2008 St. Catherine’s University: Master of Science in Nursing: Nurse Educator, 2016 Biography: JoAnn Tingum joined The College of St. Scholastica in 2018. 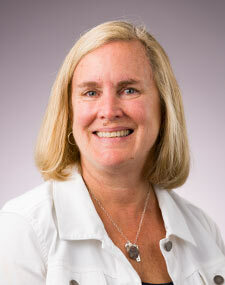 Her clinical background includes work with patients in General Medical, Palliative, and Critical Care. 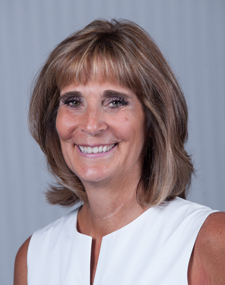 In addition, JoAnn has experience working in education in the healthcare setting with a focus on promoting professional development among nursing staff and patient care teams. JoAnn has a passion for education and medical simulation. 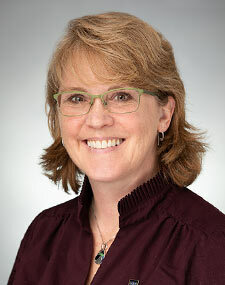 She holds a membership to the Society for Simulation in Healthcare Past work has included collaborating in the development and implementation of simulation training for nursing staff and multidisciplary teams covering topics across specialties and across the lifespan with an emphasis on improving patient safety. In her freetime, she enjoys reading, hiking, and spending time with family. JoAnn will be teaching in the traditional undergrad nursing program. Greg is an advanced practice registered nurse and Veteran with experience in multiple roles including pre-hospital, flight and military medicine, emergency and critical care nursing, as well as nursing education and leadership. His current role at CSS is as the Veteran Faculty Lead and Clinical Liaison for the Veteran to BS in Nursing Program. He serves as the advisor and clinical instructor for cohorts of Veteran and service-connected nursing students throughout their entire academic progression in the Undergraduate Nursing Program. His goal is to help train Veterans to be excellent nurses who are able to continue to serve their community after their uniformed service to their country is complete through the acknowledgement and inclusion of their very unique experiences and skills into their nursing education. He is an inductee and active member of Sigma Theta Tau International Honor Society of Nursing, and holds certification in Family Nurse Practice from the American Association of Nurse Practitioners (AANP), of which he is also a member.